I'm not the cleanest person, even thought I like to have tidy bedroom. 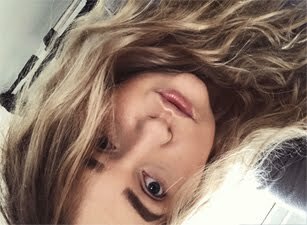 My bedroom gets a really good clean on Saturday, I love to re-organise my make-up, clothes, books and magazines. 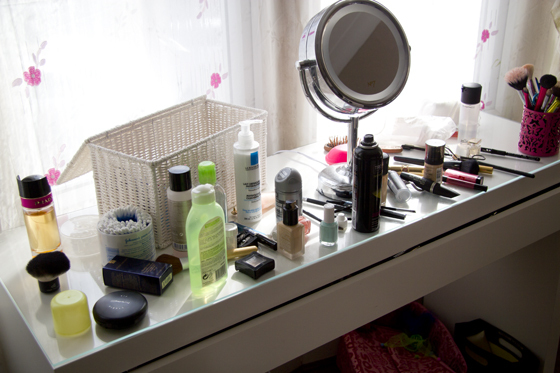 On Monday while doing my make-up my dressing table looks like this and then I pile more stuff on during the week. As you may notice there is a new white storage box, I got it from John Lewis. I keep skincare products in there. New stuff also get piled up on the dressing table, as I normally take photos before using them (to have nice product photos). 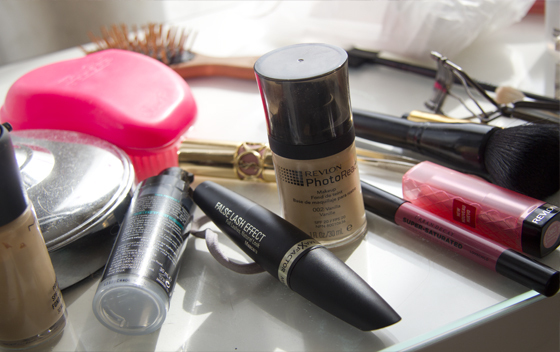 I do often use my dressing table as background for my images, as I have the best light down here. The windows are in front of the desk. 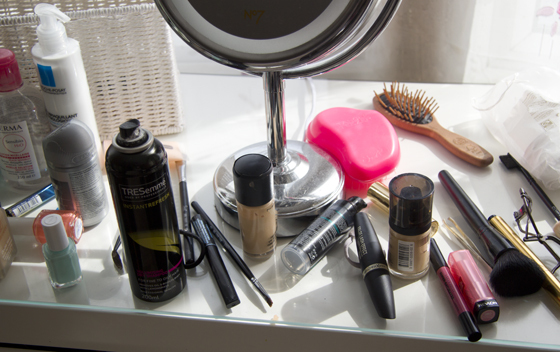 What I love the most about this dressing table is the glass cover, as you can easily remove the dirt and no stain would be left. I love the tangle teezer brush, but whenever I use it my brother calls me a pony. Hahaha, it's reminds me of those Barbie brushes. 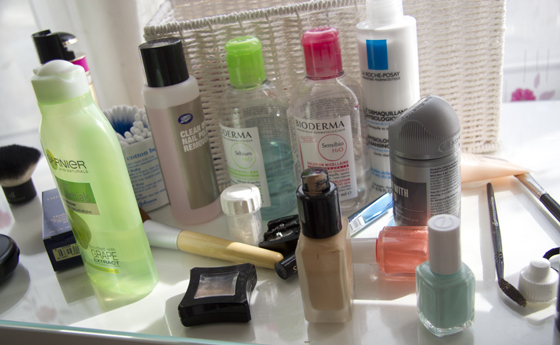 This looks like my dresser - full of cream bottles, lipsticks and so on. This is a gorgeous desk, by the way! Hej :) jak juz pisalam, Twoj stoliczek/biurko jest idealny. Musze sprobowac plynu z Biodermy. I love having all my beauty products out for show, but its nice to have it all organised a well. You're dressing table is lovely!